Sometimes we wonder if modern documentaries have become the film equivalent of the old guy who chases kids away from his lawn. Not that modern documentaries aren’t beautifully filmed or capable of stirring people to action. They’re all that and a piece of cheese, too. 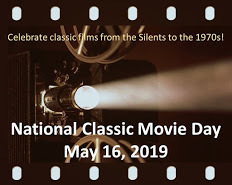 But we didn’t fully realize how the nature of documentaries had changed until we saw The Anderson Platoon (1967), an understated film about the Vietnam War that won an Oscar. Vietnam was a hot topic during the 1960s with protests against the war starting in early 1965. Even though there was a protest rally in Washington, D.C. in 1967 – attended by 100,000 people – the U.S. had nearly 500,000 troops on Vietnamese soil by the end of year. The Anderson Platoon, originally titled La Section Anderson, was made by a French film crew. (The English version was narrated by actor Stuart Whitman.) Interestingly, French filmmakers were scooping up a lot of documentary nominations in the 1960s, at the rate of about one per year. This gritty documentary examines the 1st platoon of “B” Company, comprised of draftees who had to complete two years’ duty, including one year in Vietnam. Many of the men are what the film calls “minorities from lower-income families”. They are headed by a rare specimen: an African-American West Point graduate, Lieutenant Joseph Anderson. Lt. Anderson is all of 24 years old. According to the film, the U.S. military strategy is to seek and destroy, using small ground units like Anderson’s to find the enemy. Firepower is then flown in to destroy the sector. The Anderson Platoon doesn’t shield viewers from the experience of war. An early scene shows a priest conducting mass for the men; when he gives communion, you can hear gunfire popping in the background. There is footage of the men combing the jungle, huddling in the rain during a meal, and giving medicine to children. There is also footage of the men lifting the dead and wounded onto a helicopter, and finding a village where nearly everyone has been killed. Perhaps the most poignant scene is one where a soldier tenderly bandages his comrade, then sinks to the ground from grief or exhaustion, or both. The Anderson Platoon does not politicize. There are no comments designed to infuriate you. It neither defends nor deplores the war. This is what the war in Vietnam looks like, is the message. Take from it what you will. There is no tangible story arc, no indignant narrator ranting at the audience. The soldiers themselves never address the camera; we don’t feel like we know these men, even after observing them in such extreme circumstances. This makes us disoriented, like we can never really get our bearings, as though we don’t know who to trust or what might happen next. This disorientation feels intentional, however, and we are left wondering if this is like war itself. 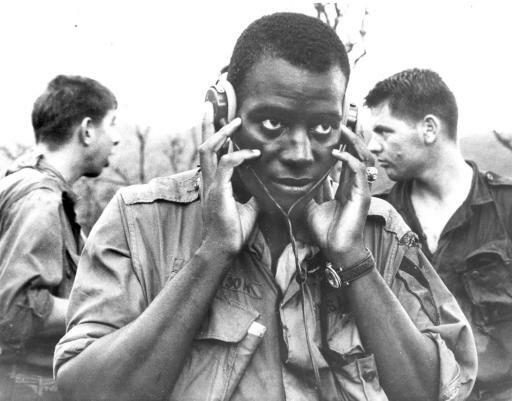 Anderson received two Silver Stars, five Bronze Stars and 11 other medals for his tour in Vietnam. He eventually resigned his commission and became a successful businessman. As for The Anderson Platoon, we recommend it – not just for its historical importance, but because it’s a film that seems as timely now as it was in 1967. The Anderson Platoon: Narrated by Stuart Whitman. Written & directed by Pierre Schoendoerffer. French Broadcasting System, 1967, B&W, 55 mins. Hey! 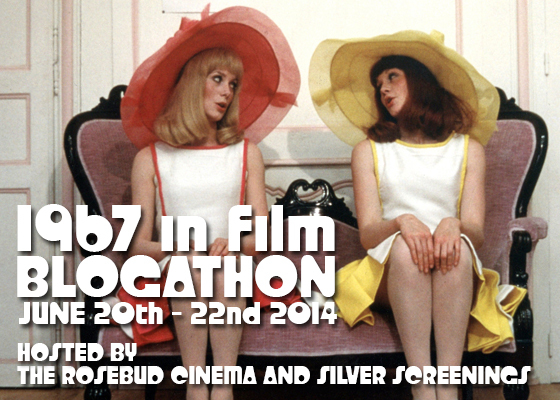 This post is part of the 1967 IN FILM Blogathon hosted by yours truly and The Rosebud Cinema. Click HERE for a list of all the far-out contributions. I saw part of this film years ago on AMC when it ran with no commercials. I recorded it but something went wrong and the VHS shut down after 15 or 20 minutes. Have not been able to find it again. It’s been on my must see list ever since. Thanks for including this deserving film in the blogathon. Ack! I hate it when recording equipment cuts out before the end of the program. Especially with a documentary like this! I hope you get the chance to see it again. The narration is sparse, but that makes it a powerful film, no? My son is a Marine, about to get out after 4 years in. He loves documentaries. I need to let him know about this one. Thanks for writing about it for the blogathon. Wow – four years in the Marines. I wouldn’t last four minutes, never mind four years. It’s great that he could serve his country in this way. Thanks for dropping by. I hope you and your son have the chance to see this thought-provoking documentary. This films sounds intriguing and important. Thanks for bringing it to my attention. Yup, some documentaries are pretty heavy-handed, as you say. I like how this one makes no judgments..and I wonder how hard that might have been to do? I do like a documentary but I do get tired of how they force a message onto you and deliberately encourage you to form a certain opinion (Blackfish, for example!) so I like that this one passes no judgement. I must admit that I know less about the Vietnam War than I probably should, so this sounds like a good place to start. Fingers crossed I can find it in the UK! It is available on YouTube, but not sure if it would be available in your area…? This one is worth it, because it’s so unusual. I get on documentary kicks, too, much to my husband’s chagrin. I had never heard about this documentary before, Ruth! Too bad older docs are not easily available here, because this sounds great – and sad. At least I’m relieved Anderson survived the war. Thansk for hosting such a great blogathon! This sounds like it would be good for me to watch – and very very sad! I really haven’t seen too many documentaries. I do like learning about history, though, so I think this would be a good one for me to start with. I really like how you explained that the movie is disorienting, kind of like war probably is. I am a little late getting to the blog-a-thon as we went away for our anniversary last weekend, but I am glad I can still look at the posts. Thanks for calling this one to my attention, Ruth! Happy Belated Anniversary! Hope you had a wonderful time away. As for this documentary on Vietnam, I recommend it. It does not pass judgement – it just shows you what the war looks like. It is sad, but it’s more thought-provoking. This sounds terrific! I mean…incredibly sad but terrific in the sense of how well made it is! I am glad that it does not take a side or risk annoying viewers! Some of the footage sounds brutal and challenging but that is how a doc like this should be! I agree – this is exactly how a war doc should be. I hate feeling like I’m being manipulated by a documentary, even when I agree with their point of view!